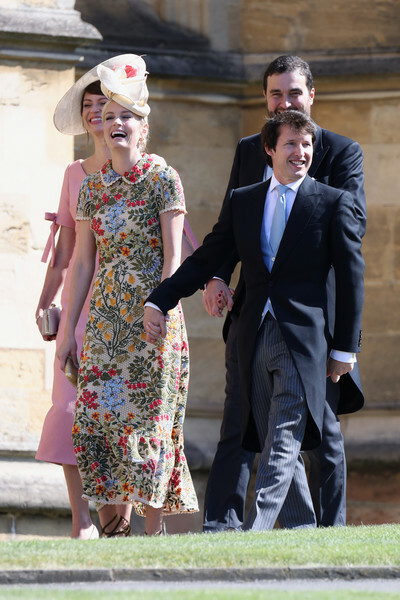 Sofia Wellesley and James Blunt arrive at the wedding of Prince Harry to Ms Meghan Markle at St George's Chapel, Windsor Castle on May 19, 2018 in Windsor, England. Prince Henry Charles Albert David of Wales marries Ms. Meghan Markle in a service at St George's Chapel inside the grounds of Windsor Castle. Among the guests were 2200 members of the public, the royal family and Ms. Markle's Mother Doria Ragland.